When it comes to customer service, I’ve gotten pretty used to disappointment. With all that is affecting the air travel industry, I understand the diminishing level of service and the ever-increasing price of a plane ticket. I don’t like it, but I get it. Hawaiian Air really angered me a year or two ago when they raised the frequent flyer mileage from 35,000 to 40,000 to earn a round trip ticket to Hawaii. I don’t fly Hawaiian as often as I’d like, but that change took me from having earned a ticket to not. In the ensuing months I managed to push it back over the top, only to learn that they had, without notice, expired my miles and reset me to zero! I was crushed, so I wrote a note courteously asking that they be renewed. I fully expected to be rejected. I learning that same day that your can get them reinstated for a fee, so I did gain measure hope. However, to my great surprise, a day later, I received a note back from Hawaiian Airlines that, as a one-time courtesy, they had reinstated my miles. My ticket to paradise was back in hand! Just knowing it is there takes the edge off the long hours I’ve been putting in working through the seemingly endless winter. 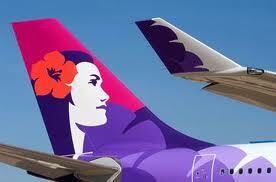 Thank you Hawaiian Airlines. This entry was posted in Dive Travel, Kona Diving and tagged airlines, dive travel, hawaii scuba, kona hotels.